Cadillac’s long time slogan has been “The Standard of the World”. During the 1930’s the company went to great lengths to live up to that claim. With the junior LaSalle brand and standard Cadillac V8 models selling well, much needed cash was being added to the coffers. Cadillac decided the time was right to add a bit of excitement to the “multi-cylinder” engine race that was going on between high-end manufacturers around the world. In 1930, they shocked the motoring world with introduction of both a V12 and an unprecedented V16 engine. 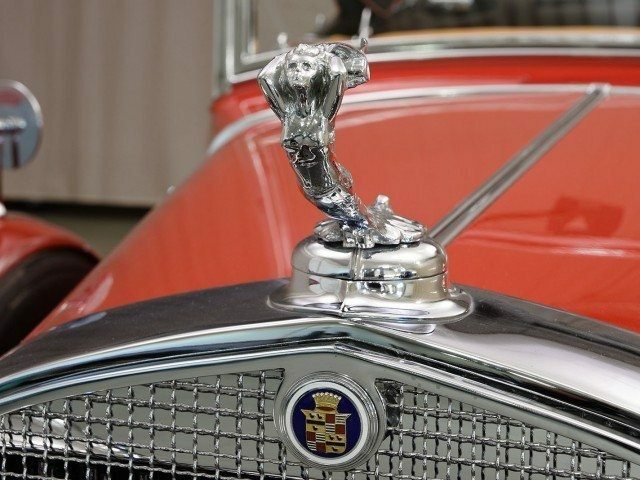 This put Cadillac right into the thick of the battle with such prestigious manufacturers as Hispano-Suiza, Lagonda, Rolls-Royce and their chief rival, Packard. Our friends at Hyman Ltd sent us photos and details of a stellar Full Classic V-12 Cadillac they are offering currently. 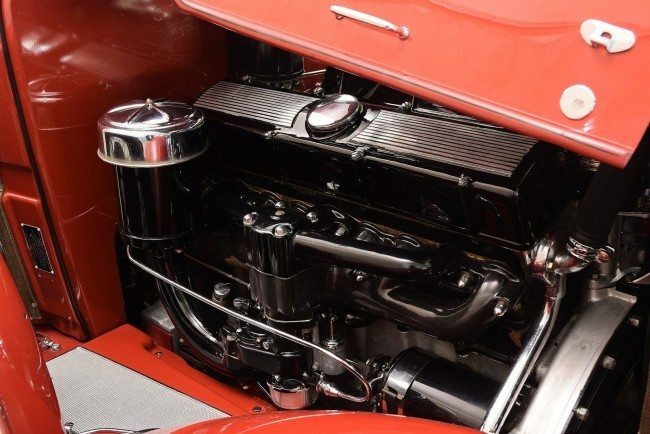 Both engines were designed simultaneously by Cadillac engineer Owen Nacker, and they shared the same basic layout as well as many common components. The V12’s output was a healthy 135 horsepower, while the V16 put out a full 175 horsepower – a headline grabbing figure for its day. The Model 370 V12 did have its advantages over the V16, however. It was lighter and therefore offered better handling. It was also significantly cheaper – starting at $3,795 or about $2,000 less than the ultra-exclusive V16, no small sum in 1931. Various custom and semi-custom bodies were available, with the standard cars being among the first projects for GM by the great Harley Earl. Cadillac struck a near perfect balance with the 370A; while the V16 provided the headlines and the ultimate in exclusivity, the high cost meant only 363 examples found homes. The V12 Model 370A cost less but was nearly as luxurious, offered nearly the same performance and even looked virtually the same. As a result, 5,733 V12 Cadillacs were sold in the 1931 model year, helping Cadillac to achieve their bold claim of becoming The Standard of the World. 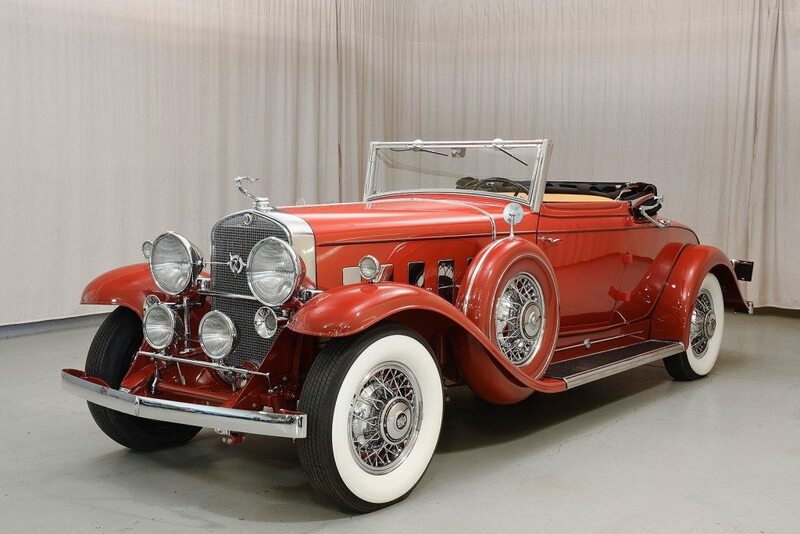 Our good friends at Hyman, Ltd passed along the details on this elegant and beautifully restored 1931 Cadillac V12 convertible coupe that is currently in their inventory. Riding on a 143” wheelbase, this gorgeous Cadillac is a rare and desirable full classic in the truest sense of the term. The sporting coachwork is suitably finished in red with a black top, piped in complementing red trim. It rides on a beautiful set of chrome wire wheels, with dual side mount spares with color keyed covers. As it should be with a proper 1930s Full Classic, copious chrome trim graces the body all around – chrome bumpers, hood vents, landau irons, mirrors, horns, headlamps, radiator shell and a stainless stone guard all add to the impressive looks and are all presented in beautiful order. The body also features a rumble seat, golf door, opening windscreen and chrome trunk rack. The nut and bolt restoration was executed to a very high standard and the car remains in exceptional condition, showing only light use since its completion. 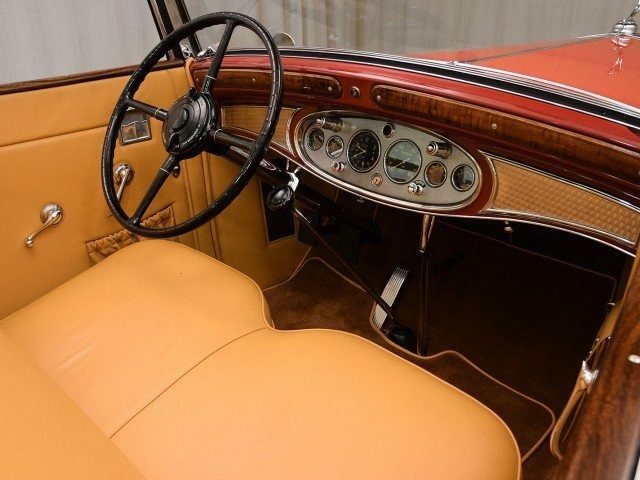 The cabin and upholstery have been similarly restored to a beautiful standard and the engine bay and undercarriage also present in excellent condition, showing just light indications of use on the road. Following the restoration in the 1990’s, it was awarded both an AACA National 1st Prize and a CCCA National 1st Prize, a clear indication of the quality and level of detail bestowed upon this beautiful machine. 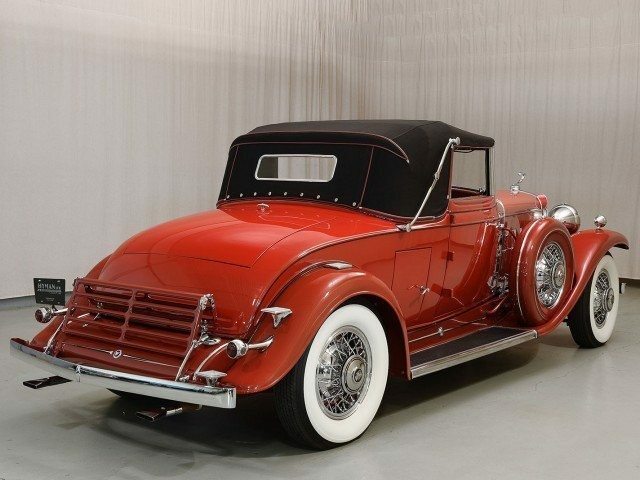 This magnificent Cadillac is a prime example of 1930’s elegance and extravagance. It still presents beautifully and is well sorted and would make an outstanding selection for CCCA CARavan tours and rallies. The asking price is $199,500, and full details are available on the Hyman Ltd website at www.hymanltd.com or via phone at 314 524 6000.